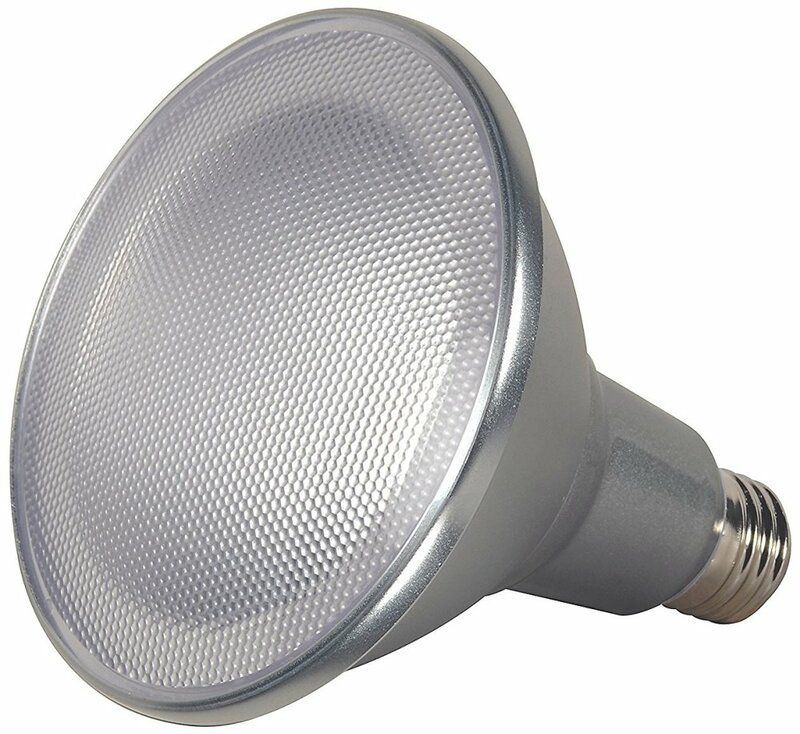 15 watt PAR38 shape LED, 3000K warm white, 25' beam spread, Medium base, 120 volts, 1200 Initial Lumens - Solid State LED lighting. Reflector replacement lamp. Long life - 25,000 hours. IP65 - Wet location rated. Approved for enclosed fixtures. For Indoor and Outdoor use. ABS Lens. Dimmable. 90W Incandescent Equivalent. Dimmable with compatible dimmer. 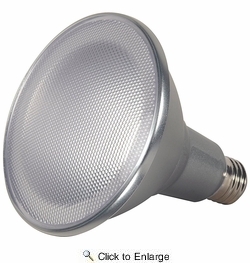 Code 15PAR38/LED/25'/3000K/120V/D.